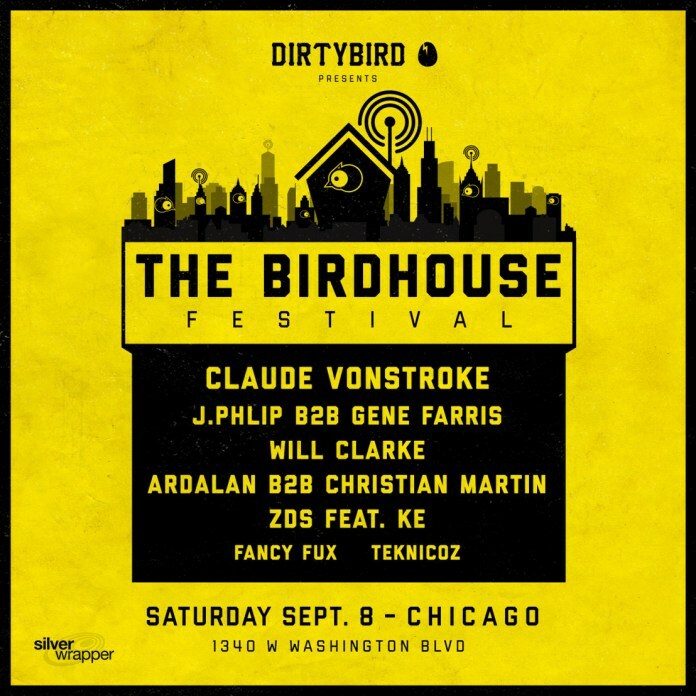 On September 8th, Chicago welcomes Claude Von Stroke and his band House Music Marauders back to the Midwest for the inaugural Birdhouse Festival. Riding the success of the East and West Coast campouts, the Dirtybird Boss looks to add to his party portfolio by headlining the first major Dirtybird event in the Midwest mecca since the 2015 Dirtybird BBQ. This new festival looks to combine a carnival-style atmosphere and the Dirtybird fun and carefree attitude. Packing the Birdhouse will be a slew of label mates including a special Christian Martin b2b Ardalan set. Bass stylings from Will Clarke will be banging the decks as well as Chicagoland native J. Phlip going b2b with Chicago legend Gene Farris. 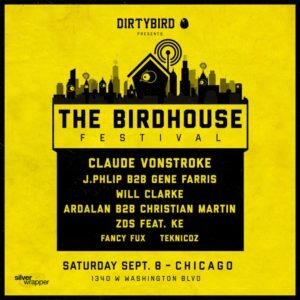 Chicago locals ZDS, Fancy Fux and Teknicoz will also be joining the Dirtybird crew for this unique experience on a back city parking lot. In addition to the onslaught of House tunes, there will be carnival rides, games, and an plenty of carnival food. The excitement is overflowing as the legendary home of House music awaits the Claudefather and company. Tickets are going fast. Tier 3 tickets are on sale now for $50 plus tax and fees. Don’t miss an opportunity to end summer in the city on a high note with the Dirtybird crew!